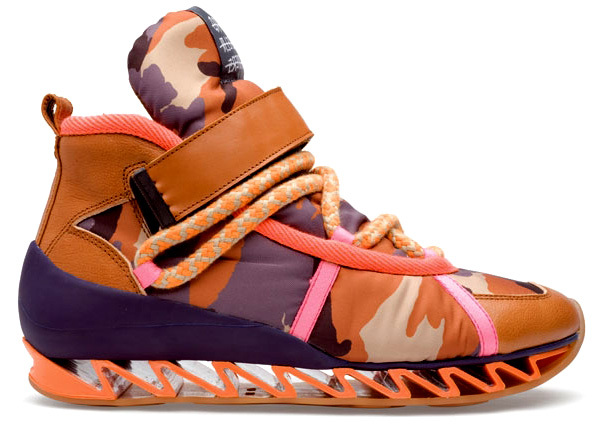 We’ve covered Bernhard Willhelm’s futurist/off the wall productions before, such as his Hiking Boot/Running Shoe hybrid and MYKITA Sunglasses, as well as the last season of these Hiking Boots with Camper for Fall/Winter 2011. for the upcoming Spring/Summer 2012 season, the collaboration gets a tad wilder with some bolder colors. 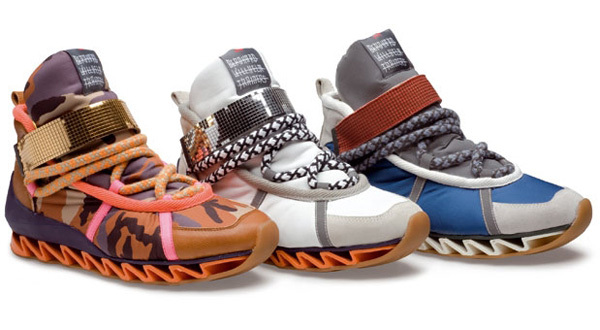 Of course they still incorporate the signature zig-zag ripple sole construction and heavily rubberized heel section. 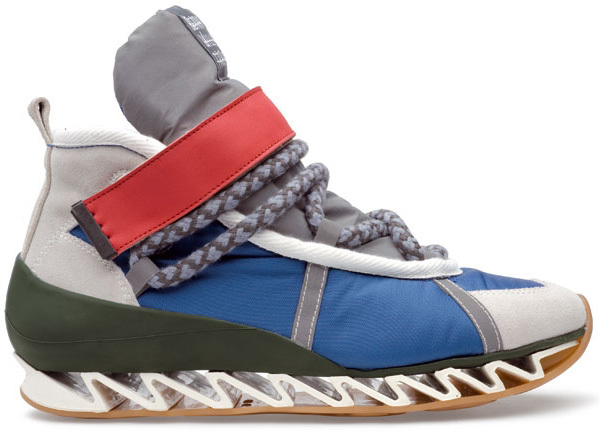 As with earlier seasons, the Bernhard Willhelm x Camper Hiking Boots are all made in Spain.